More premium brands at FASHION HOUSE Outlet Centre Moscow. Max Mara and Etro open in ‘Red Carpet alley’. Two premium brands Max Mara and Etro opened boutiques in FASHION HOUSE Outlet Centre Moscow ‘Red Carpet alley’. The new stores occupy over 340 sqm in total and enriched the centre’s luxury fashion offer. Max Mara is one of the largest international fashion houses. The company was formed in 1951, with the aim of offering “haute de gamme” feminine clothing, produced according to excellent industrial processes. Etro was founded in 1968 when the brand’s owner launched a production of highly prestigious fabrics, which he embellished with original designs and innovative colour ways. Today, the company offers men’s and women’s collections, accessories, fragrance and home products. Both brands occupy over 340 sqm. in total. The boutiques are located in so called ‘Red Carpet alley’ which is home solely to the best Russian and international high-end fashion stores. Other brands which are present in ‘Red Carpet alley’ include among others: Furla, Meucci, Pinko, Escada, Kenzo, Motivi. 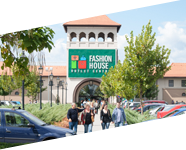 “FASHION HOUSE Outlet Centre Moscow continues to broaden its premium offer, which enjoys high interest among Russian customers. 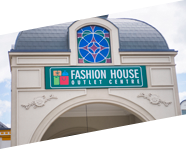 Combination of availability of luxury brands with the recently unveiled omni-channel strategy, including launch of FASHION HOUSE Online, and the new food strategy gives us opportunity of further development and makes FASHION HOUSE Group even more important player in the CEE market” said Brendon O’Reilly, Managing Director of FAHSION HOUSE Group. 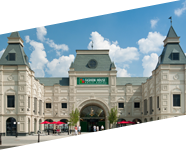 FASHION HOUSE Outlet Centre Moscow is the first fully enclosed scheme of this type in Russia. 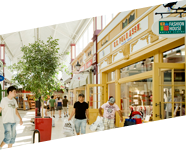 The impressive portfolio of tenants includes: Tommy Hilfiger, adidas, Reebok, US Polo, Tom Tailor, Benetton, Nike, Puma, Lacoste, Tru Trussardi, Samsonite, Salomon and others. Currently, the scheme is being extended and the opening of its second phase is planned on 4th November 2016. After its completion, FASHION HOUSE Outlet Centre Moscow will have a GLA of over 20,000 sqm.